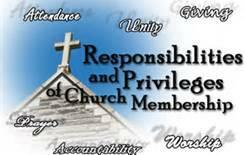 The Membership ministry is responsible for maintaining contact with all members of the Church, especially during the first year of membership. This ministry is focused on accurate attendance of the congregation with particular emphasis placed on aberrant members; development and implementation of programs which will increase usefullness and enhance personal growth and development. It is our focus and goal to involve and enlist the members to partake more fully in the Ministry of the church and to develop relationships with all church members.